Find your favorite Perseus, Aphrodite or Calibos costume from our selection of Clash of the Titans costumes: King Acrisius of Argos casts his daughter Danae and grandson Perseus off into the sea on a wooden coffin. Zeus kills Acrisius as punishment for sending his love and son off and tells Poseidon to have a Kraken destroy Argos. Perseus survives, however, and returns to defeat Calibos, Medusa and the Kraken and win Andromeda’s hand in marriage. 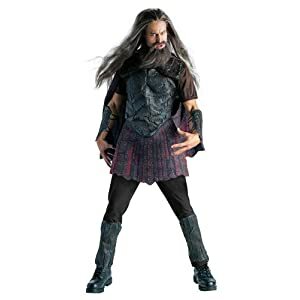 Shop Clash of the Titans Costume Accessories Ten years after defeating the Kraken, Perseus and Andromeda must rescue Zeus from imprisonment and defeat Kronos. 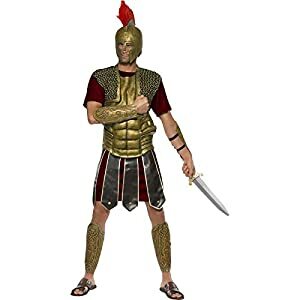 This gladiator costume for men includes a dark red tunic with attached skirt armor, chest piece, arm guards and leg cuffs. 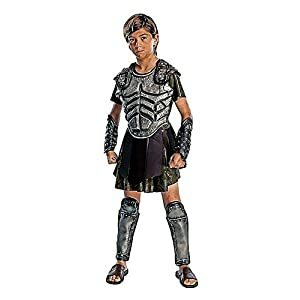 The gladiator costume comes in adult sizes Large, Medium. 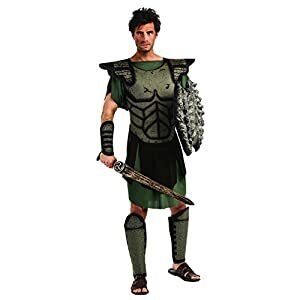 The sword and helmet are not included with this gladiator costume for men. Includes tunic, chest piece, gauntlets, and shin guards. Does not include shoes. 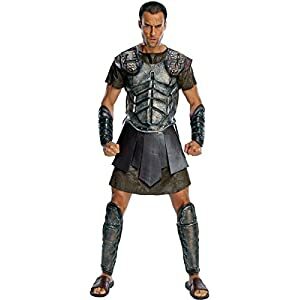 This is an officially licensed Clash Of The Titans costume. 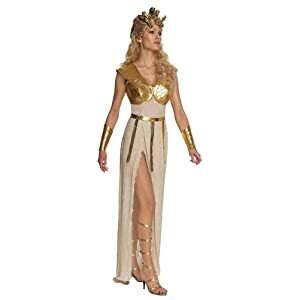 Officially licensed Clash of the Titans Athena Costume. Full length dress with gold colored vest, belt, and gauntlets. Look for wig, headpiece, and sandals, available separately. Includes Tunic. and Chespiece. and Mask. 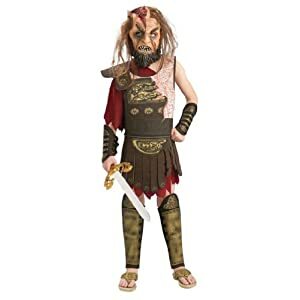 Officially licensed, Clash of the Titans costume. 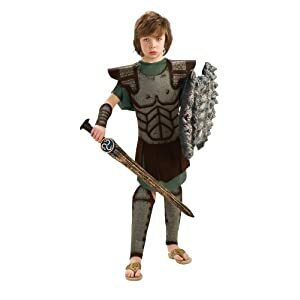 Perseus costume includes tunic, chest armor, gauntlets and shin guards. Child’s small fits most children 3 to 4 years old. 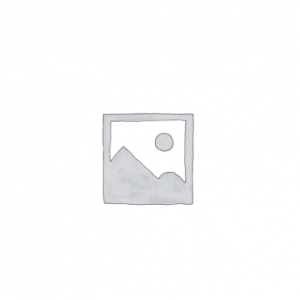 Deluxe Perseus Costume features a molded plastic that looks like body armor. Short sleeve tunic has chest armor-look and leather-look flaps. Also includes gauntlets and shin guards.